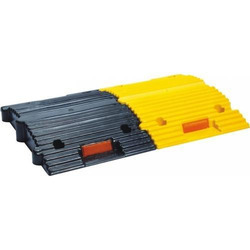 Providing you the best range of rubberized speed bumps, speed retarders, rubberized speed bump and speed breaker with effective & timely delivery. 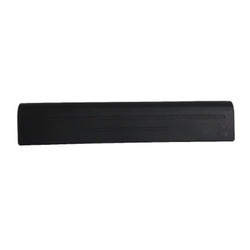 Rubberized Speed Bumps from our side are an ace product in the market. Some of the advantages of these speed bumps include high-visibility black and yellow design for attracting attention of drivers, for slowing traffic and maintaining pedestrian safety. Some areas these are installed in include at pedestrian crossings, parking lots and service stations and others. Speed Retarders offered in easy to handle modular designs, its superior construction support also makes these last long without requirement of painting again & again. Further, the use of UV resistant black and yellow color also makes these better visible as well as provides better comfort for passengers in vehicles. These are delivered to the customers as per the scheduled delivery time.